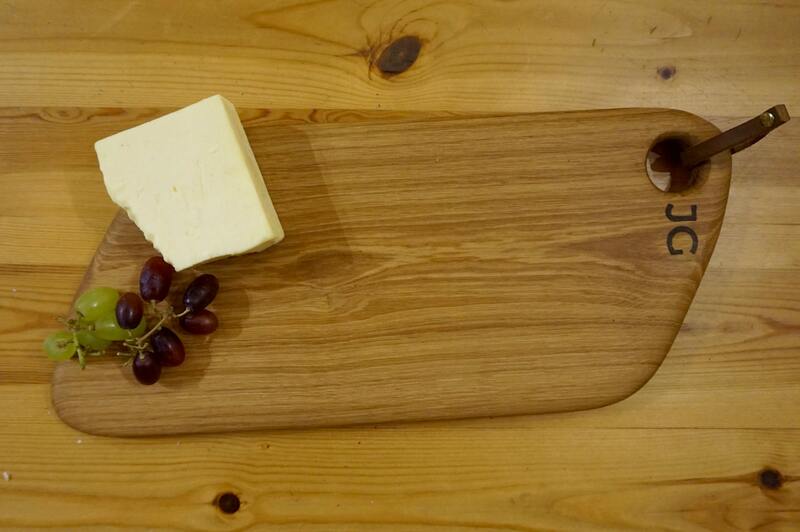 Handmade solid Oak serving platter finished with food safe oil. 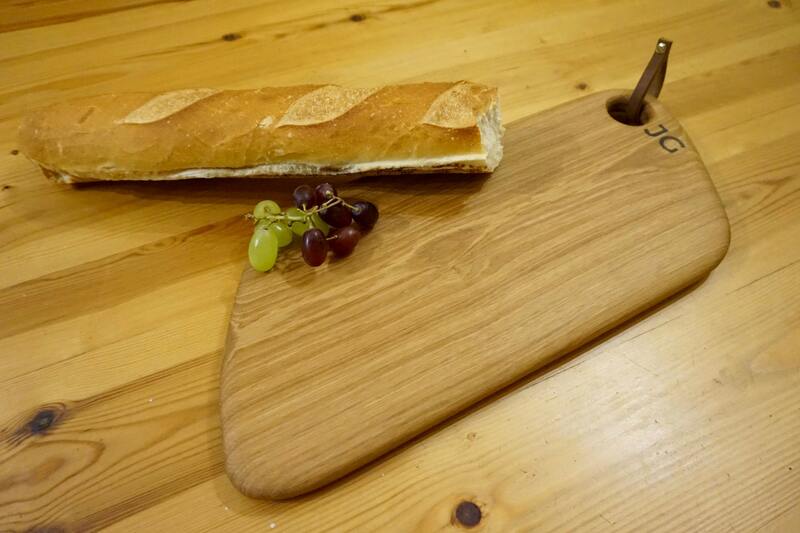 Perfect for presenting cheeses, meats and artisan breads. 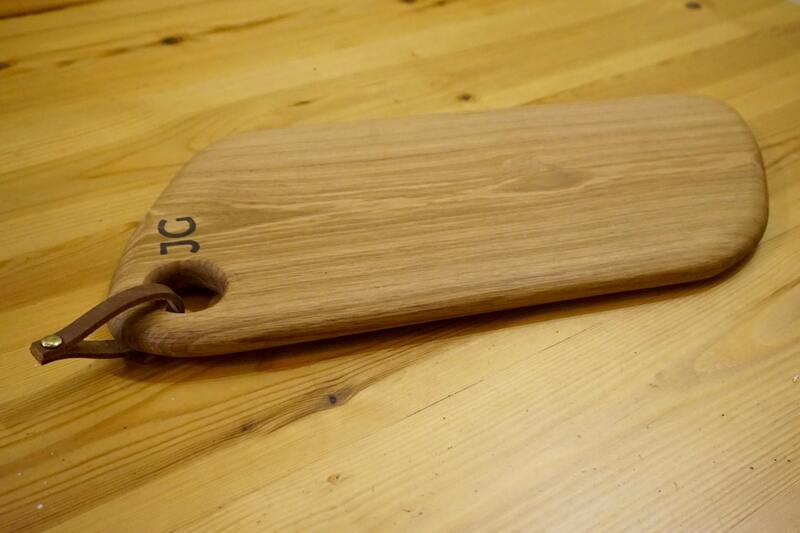 Can be used as a centre piece to any table or used as an everyday board. 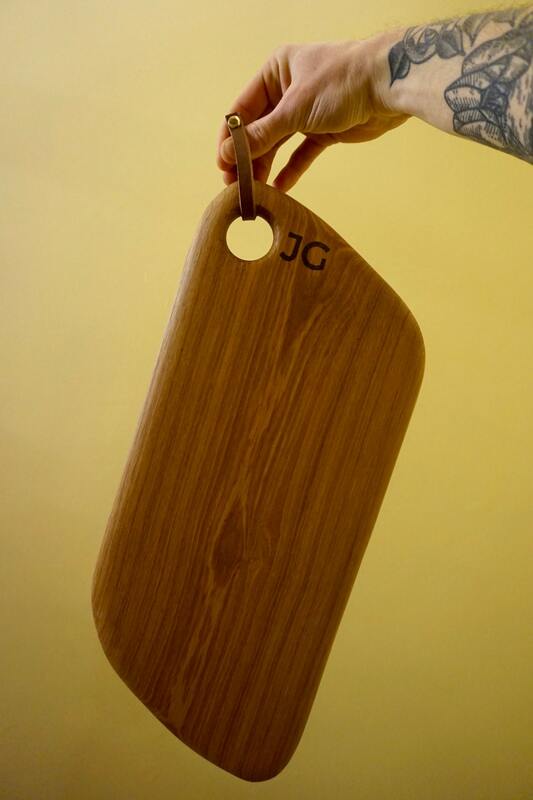 Features a hole to aid in gripping and can be easily stored away by hanging on the integrated leather strap. 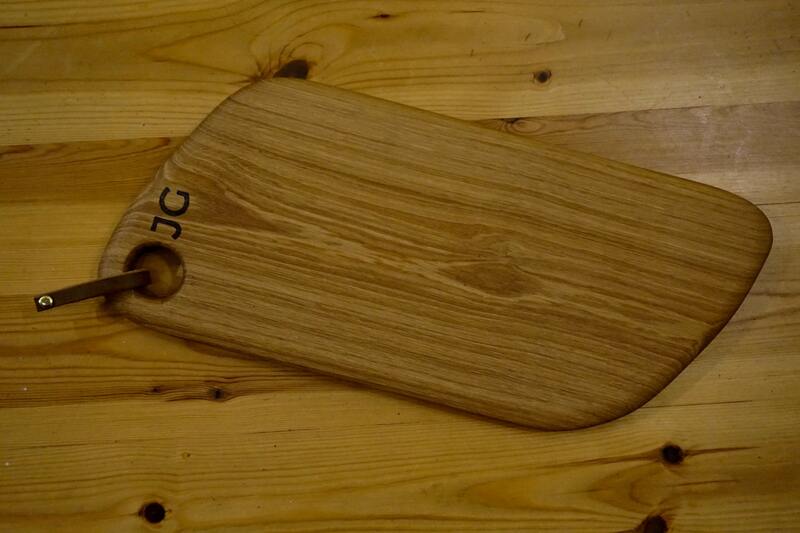 Dimensions: 47.5cm (18.7") length, 20cm (7.8") wide, 2.25cm (0.9") thick. Please be aware that each board is hand selected but due to the nature of wood the natural features of the wood will differ from those pictured.